Sprint announced on Wednesday that it has inked an agreement with U.S. Cellular to acquire spectrum and customers in the Midwest for $480 million. The deal includes U.S. Cellular properties and 585,000 subscribers in Illinois, Indiana, Michigan, Missouri and Ohio. Sprint will use the added support to deploy its 4G LTE network in those areas. “This transaction will enable us to strengthen our business and become a more robust competitor,” said Dan Hesse, Sprint’s CEO. 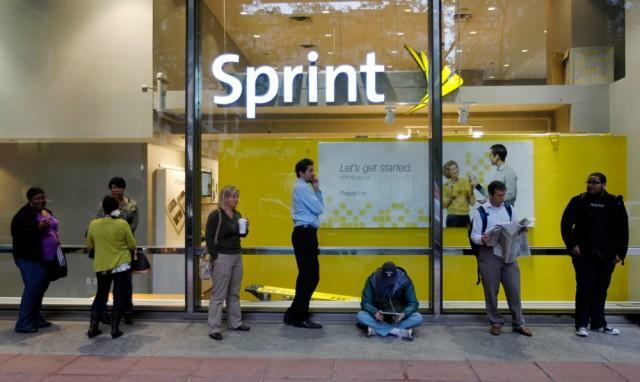 “Acquiring this spectrum will significantly increase Sprint’s network capacity and improve the customer experience in several important Midwest markets including Chicago and St. Louis.” Sprint said it expects the deal to finalize in mid-2013 after it is approved by the Department of Justice and the Federal Communications Commission. Sprint will further explain how the transition will work for U.S. Cellular customers at that time. This isn’t the only business deal Sprint is a part of right now. SoftBank announced in October that it plans to acquire 70% of Sprint for $20 billion. OVERLAND PARK, Kan. (BUSINESS WIRE), November 07, 2012 – Sprint (NYSE: S) today announced that it has entered into a definitive agreement with U.S. Cellular (NYSE: USM) to acquire PCS spectrum and customers in parts of Illinois, Indiana, Michigan, Missouri and Ohio including the Chicago and St. Louis markets for $480 million in cash and the assumption of certain liabilities. The additional spectrum will be used to supplement Sprint’s coverage in these areas as it continues to deploy its Network Vision upgrade and roll out 4G LTE nationally. Under the terms of the agreement, Sprint will acquire 20 MHz of PCS spectrum in the 1900 MHz band in various Midwest markets including Chicago, South Bend, Ind. and Champaign, Ill. and 10 MHz of PCS spectrum in the St. Louis market. In addition, the transaction involves approximately 585,000 U.S. Cellular customers. U.S Cellular will continue its business operations outside of these markets following the closing. The transaction is subject to regulatory approvals by the Department of Justice and the Federal Communications Commission and is expected to close in mid-2013. In the meantime, the accounts and service of U.S. Cellular customers in these markets will not change. Once the transaction is closed, Sprint will provide additional information on transition plans. Customers with questions can go toUSCellularinfo.com to learn more. The 2012 American Customer Satisfaction Index ranked Sprint No. 1 among all national carriers in customer satisfaction and most improved, across all 47 U.S. industries, during the last four years. Sprint is the only national carrier with Truly UnlimitedSM 4G LTE data, text and calling to any mobile. Everything Data plans with Any Mobile, AnytimeSM, which includes unlimited Web, texting and calling to and from any mobile in America while on the Sprint Network, start at just $79.99 per month (excludes surcharges and taxes) for smartphones. Sprint offers a wide selection of 4G LTE smartphones and has launched 4G LTE in 32 cities and expects that 4G LTE will be available in more than 115 additional cities in the coming months. * This news release includes “forward-looking statements” within the meaning of the securities laws. The statements in this news release regarding network performance, coverage and capabilities, business and network efficiencies, migration of services new technologies, timing of deployment, and products and services, as well as other statements that are not historical facts, are forward-looking statements. The words “estimate,” “will,” “project,” “forecast,” intend,” “expect,” “believe,” “target,” and similar expressions are intended to identify forward-looking statements. Forward-looking statements are estimates and projections reflecting management’s judgment based on currently available information and involve a number of risks and uncertainties that could cause actual results to differ materially from those suggested by the forward-looking statements. With respect to these forward-looking statements, management has made assumptions regarding, among other things, development and deployment of new technologies; efficiencies and cost savings of multimode technologies; customer and network usage; customer growth and retention; service, coverage and quality; availability of devices; the timing of various events and the economic environment. Sprint Nextel believes these forward-looking statements are reasonable; however, you should not place undue reliance on forward-looking statements, which are based on current expectations and speak only as of the date of this release. Sprint Nextel is not obligated to publicly release any revisions to forward-looking statements to reflect events after the date of this release. Sprint Nextel provides a detailed discussion of risk factors in periodic SEC filings, including its annual report on Form 10-K for the year ended Dec. 31, 2011, in Part I, Item 1A, “Risk Factors,” and in Part II, Item 1A, “Risk Factors,” of its quarterly report on Form 10-Q for the period ended September 30, 2012. Sprint Nextel offers a comprehensive range of wireless and wireline communications services bringing the freedom of mobility to consumers, businesses and government users. Sprint Nextel served nearly 56 million customers at the end of the third quarter of 2012 and is widely recognized for developing, engineering and deploying innovative technologies, including the first wireless 4G service from a national carrier in the United States; offering industry-leading mobile data services, leading prepaid brands including Virgin Mobile USA, Boost Mobile, and Assurance Wireless; instant national and international push-to-talk capabilities; and a global Tier 1 Internet backbone. The American Customer Satisfaction Index rated Sprint No. 1 among all national carriers in customer satisfaction and most improved, across all 47 industries, during the last four years. Newsweek ranked Sprint No. 3 in both its 2011 and 2012 Green Rankings, listing it as one of the nation’s greenest companies, the highest of any telecommunications company. You can learn more and visit Sprint at www.sprint.com or www.facebook.com/sprint and www.twitter.com/sprint.